Being able to find and claim unclaimed money is difficult. Knowing where to get help can sometimes be a problem. Money Catch can help you. We are a professional investigative firm dedicated to locating people, corporate companies, trusts and beneficiaries who are unaware of unclaimed money/assets owing to them. Our specialised team works with government departments, solicitors, banks and other agencies to help in the process of locating people who can not be found. Committed to tracing Heirs & Beneficiaries, World Wide. Did you know that you could have unclaimed money owing to you? You may have money sitting in an inactive bank account, or a paycheck that you never picked up. You may have an inheritance, tax refund, shares, dividends or other money that is owed to you that you do not realise. Our office works with trustees, solicitors, government departments, share companies and banks to locate you and work with you to have your money returned to you. We have been featured on ACA, A Current Affair with Martin King in 2013 and often in the local newspaper for the work we do. We offer fast, professional research with the highest standards. 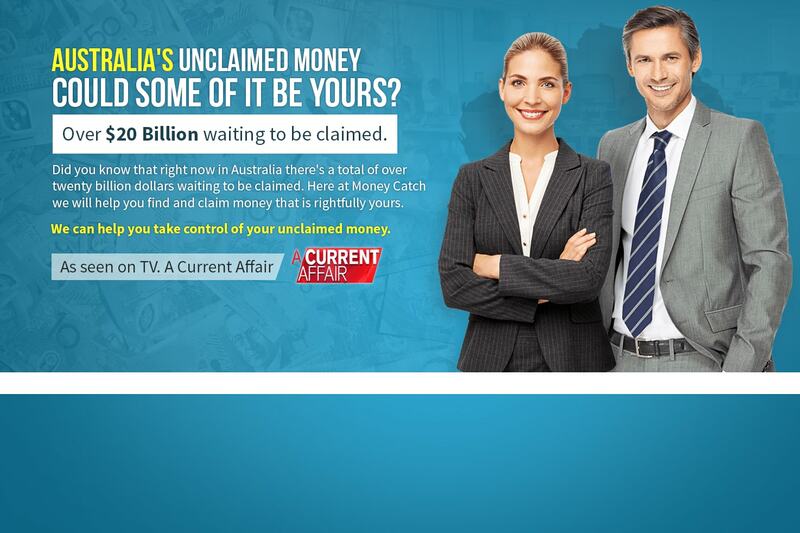 Our team is the most knowledgeable team in Australia on Unclaimed Money. Are we trying to reach you? Our professional researches use a variety of third-party sources compiled electronically, validated and analysed. We love our first contact with clients and appreciate it may come as a surprise. We use many tools to reach out clients. "phone, letters, postcards, social media and websites". You filled out your agreement and we are hard at work on your claim/investigation. We may ask you to fill out claim forms, provide ID or any evidence you may have. Your claim is Approved and your money is on the way to you. "Cheque, Direct Deposit or International Transfer"
Sometimes employers owe wages to employee’s who have left a business and can’t be contacted. Placed money in a bank account for a rainy day and forgot about it. Changed your name as a result of marriage or divorce. Moved house and forgot to notify your new address to organisations. Shareholders lose touch with companies in which they invest. More than 150,000 small investors have forgotten about $140 million in dividends - and up to $1 billion worth of shares. Thank you for everything that you have done for me. It must bee like detective work! Very challenging task for you to find me in Finland. I must thank you one more time. Excellent work you did.